Bring your water to a boil in a sauce pan or pot. for four minutes, stirring occassionally and strain. Add your garlic, to the pan. back into the pan and add the Exotic Pad Thai Sauce. Add your bean sprouts. Remove from heat and add chives. 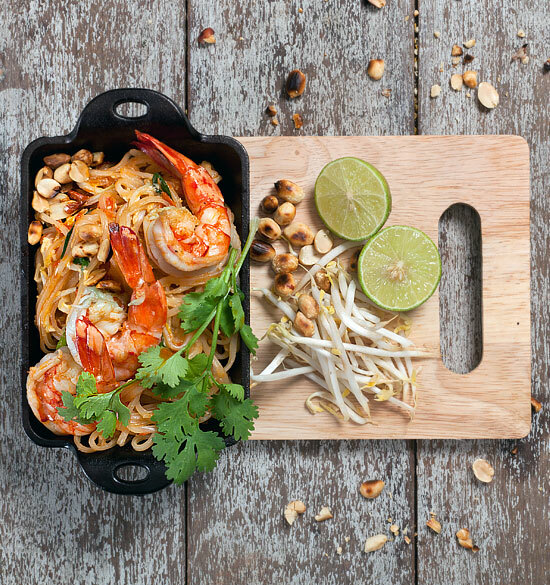 Serve the noodles with prawns on top, a lime to squeeze.